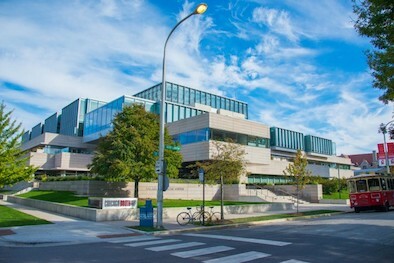 The University of Chicago Booth School of Business is consistently rated in the top echelon of MBA programs in the United States and is known for a strong intellectual community. For the first time in many years, Chicago has abandoned the creative and open-ended essay question. Rather than agonizing over visual presentations, this year’s applicants can answer straightforward essay questions. The one interesting thing to note about this set of questions is that while most schools ask for word limits on their essays, Chicago is setting a word minimum for the required essay responses. Reviewing the Chicago Booth admissions criteria will be useful as you approach these questions. Booth is a school with a tradition of intellectual rigor, non-conformity, and innovation. Along with academics, Chicago will be looking for demonstrated leadership, team building skills and community involvement, as well as your fit with Chicago Booth. Academic ability will largely be communicated through your GPA/GMAT, transcripts and other fixed data points, though intellectual curiosity can be demonstrated in the essays and the interview. Personal qualities, leadership, and career direction are all aspects that you can communicate through this set of admissions essays. This career goals essay is the ideal way to describe your track record of success and sense of personal direction. 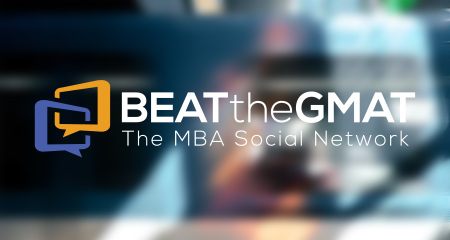 You can also demonstrate that you have realistic expectations for your Booth MBA. While career goals should be aspirational, they should also be achievable given your background and the education you will gain at Booth. Think about what you have done thus far in your career. What have you learned? How can you use your past experience to inform your future goals? This question asks for both immediate and long-term goals, as well as asking why Booth is the right place for you to pursue your MBA. Thorough research into your career path and the options for its development at Booth will allow you to answer this question fully and with conviction. Chicago Booth is looking for self-aware leaders with a sense of purpose. If you are immersed in an environment that offers many choices, how do you find your own sense of direction? This is an opportunity to provide context for the choices that you have made and to tell the admissions committee about your leadership experiences. This essay should communicate who you are and what motivates you. It’s useful to provide concrete stories about your interests, leadership experiences and other passions, but also important to describe why those experiences impacted your life choices. This essay is an opportunity to describe personal and extracurricular examples as well as work accomplishments to present a full picture of who you are. Perhaps you chose your career path out of intellectual curiosity for the field, but you chose to work outside your home country because of a passion for travel and new experiences. Describing both the personal and professional thought process and decision making structure will add more detail to give the admissions committee a holistic sense of you and your potential. This is an interesting re-applicant question, because rather than asking how your candidacy has improved, Booth asks how your perspective has changed. If you have improved your test scores, taken relevant classes, earned a promotion or changed jobs that will still be useful information to communicate, but you should use the space to talk about how you have reflected on yourself and your goals since the last time you applied to Booth. You may have learned more about your career path, formed new relationships, or changed your future direction. This is an ideal essay to demonstrate self-awareness, leadership qualities and a realistic sense of how the Booth MBA fits into your future plans.